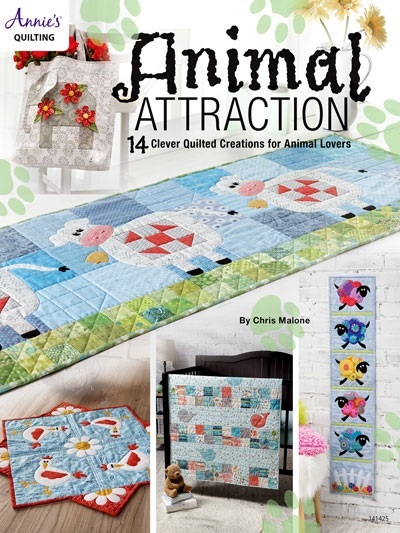 Here's a whimsical book filled with 14 clever quilt patterns for animal lovers! 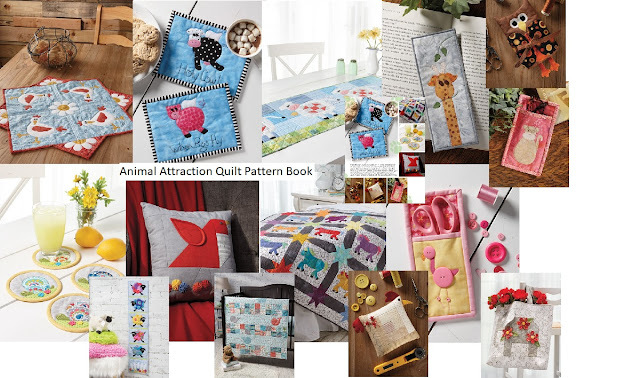 These patterns are perfect for any room and you can create lots of things from wall hangings, to baby quilts, table runners, pot holders, and several different gift ideas! Here's the book you've been waiting for! 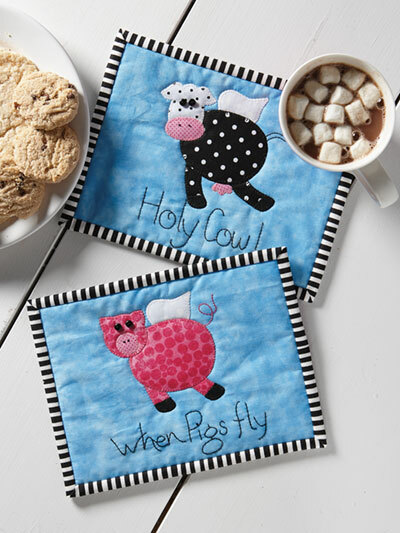 14 animal projects perfect for every season or any room using easy fusible applique and easy piecing. Use these whimsical projects for gifts, or simply make them because you love them. Whether you like farm animals, or safaris, you'll find something you'll just have to make. Chris Malone has done it again! Another lovely collection with her special brand of whimsy. Q. Which design in the book is your favorite? A. "My personal favorite is the 'Hen Party' Table Topper, probably because those ladies look like they are asking, 'What's for dinner? It better not be chicken!'" Q. Where did you find inspiration for this book? A. "I looked at fabrics, animal-themed books, even lists of songs and titles that included animal names because some just lend themselves to ideas." Q. What are your favorite colors to work with right now? A. "I like them all though I prefer the bright, true colors over pastels and the somewhat darker, browner tints. What surprises me is how much I like grays for background. The colors really sing with the gray!" Q. What design from the book do you recommend for a quick gift? A. "The Song Bird Pillow. You can make the 12" pillow, reduce the size and make a cute pincushion or add a few more birds and make a colorful long bench pillow. If you have enough time, use the pattern for a quilt block and make a symphony of birds!" Q. 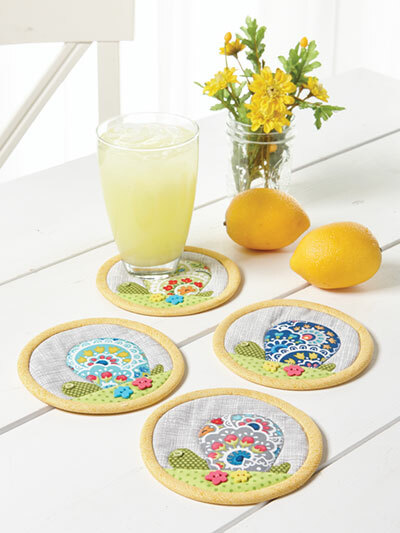 What types of pattern do you like to make in the summer? A. "Patterns involving handwork, like hand applique or something with lots of yo-yo's. I can take it outside and enjoy the fresh air, get my vitamin D and stitch away!"